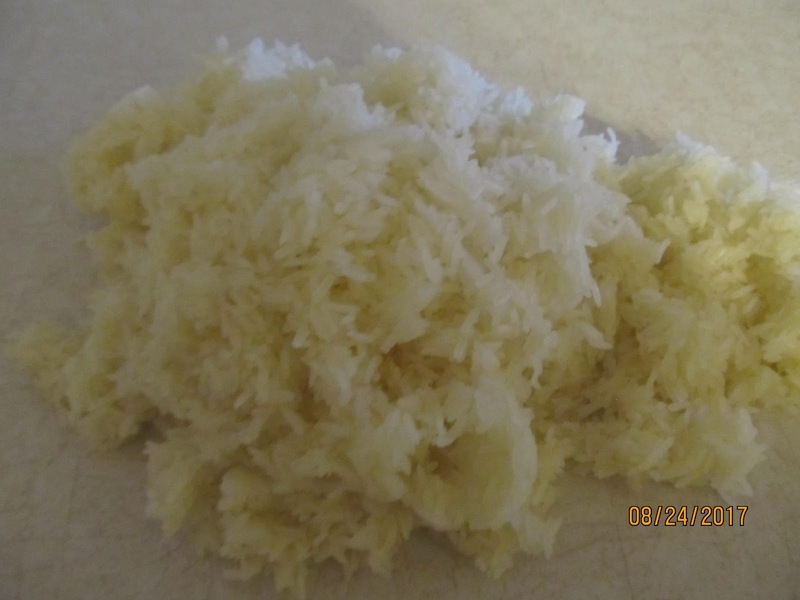 One of my favorite side dish is what I call sticky rice, It can also be called Sweet Rice, or Glutinous Rice. 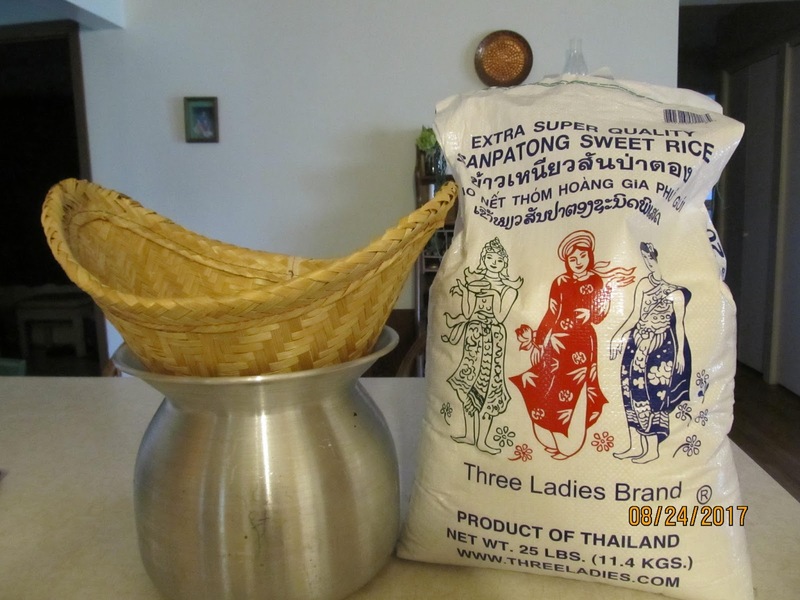 I use the Thai variety and it goes great with most main dishes or you can eat alone as a snack. 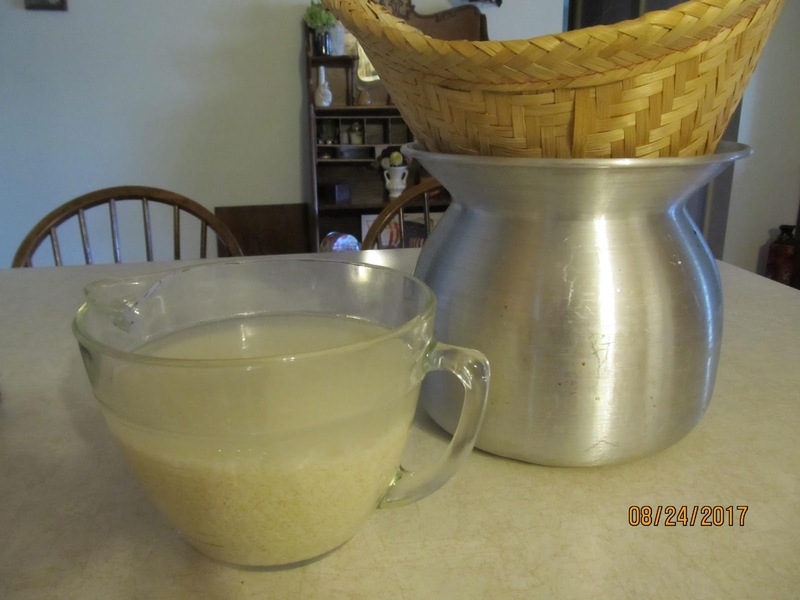 All you need is a Sticky rice steamer and basket and a sticky rice serving basket. Because we have a small family, we only need 2&1/2c of dry rice. If you have a larger family you will want to use 1/2c for each person. Put the rice in a medium or large bowl as you will want to wash the rice before you soak it. You will want to soak for an hour. 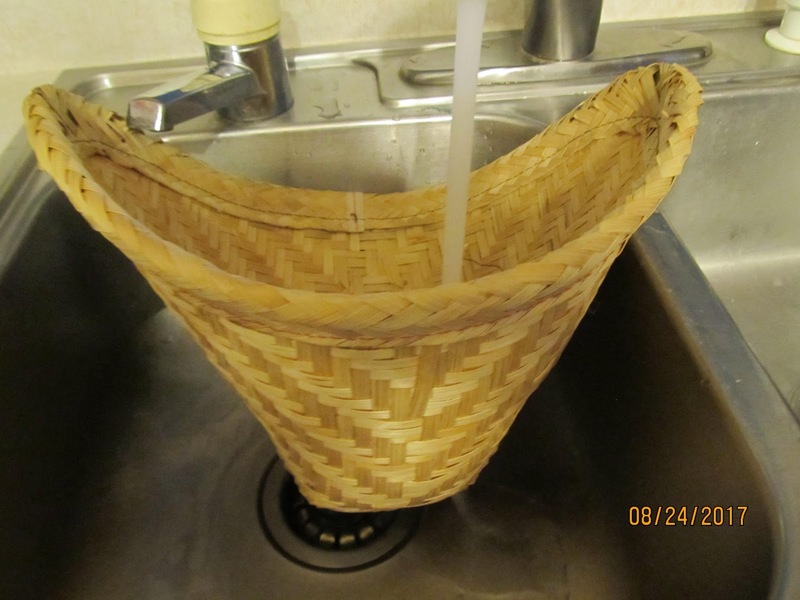 When the your ready to steam the rice, you will want to wash the basket so the rice doesn’t stick. Place the basket on top of steamer and place on stove top on high heat. Steam for 1/2 hour then touch the rice, and it should feel stiff and hold. If its loose,its not ready to flip over. 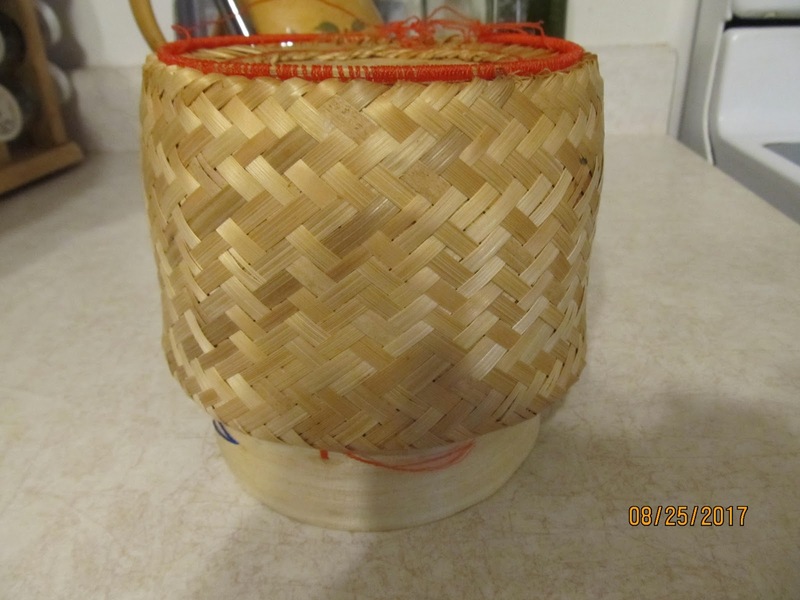 Which you would lift up the basket and hold the basket in your fingers and then you would want to toss the rice so the bottom is on top in basket. Place basket back on the steamer and continue to steam for another 15minutes. 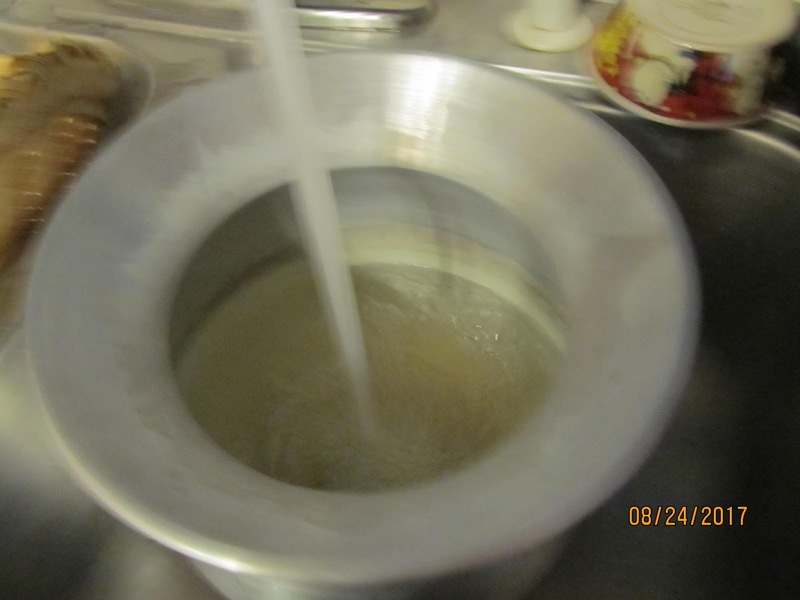 Once the rice is ready, take basket off steamer and flip sticky rice out on a counter and with wooden spatula, cool the rice down a little by pulling it apart and then mixing together. 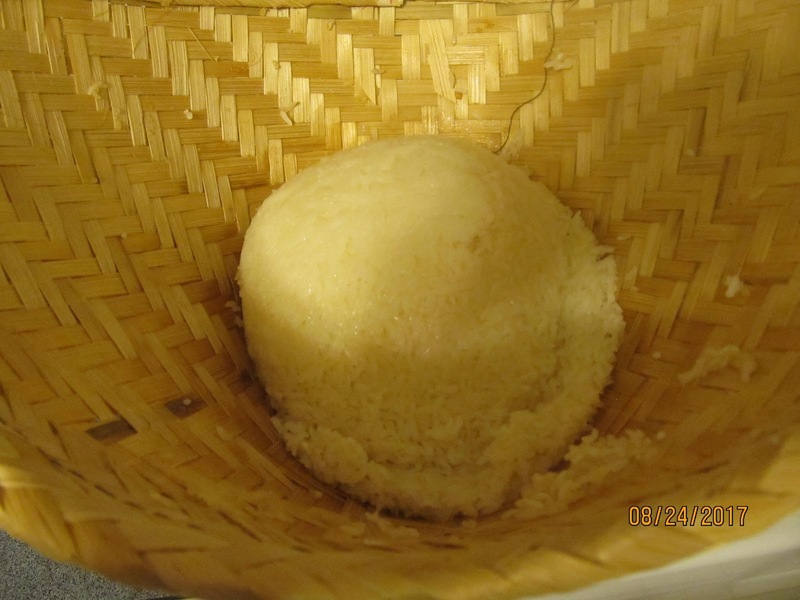 Now its time to place in the Sticky rice serving basket. 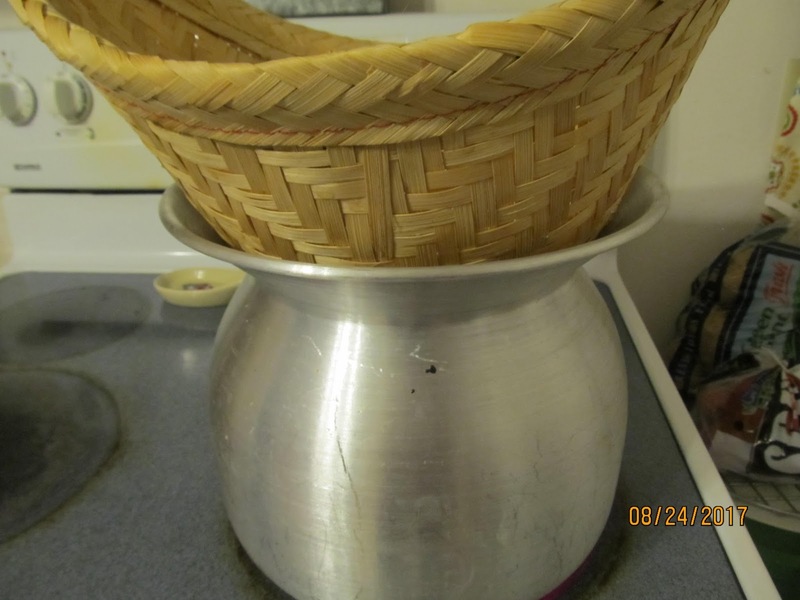 If you have left overs, you can just put water in steamer and wash out the basket so rice doesn’t stick, place on stove over high heat for 15minutes. I like to eat sticky rice with bacon, or any other type of meat. Or enjoy with fish sauce, soy sauce, many other sauces also. Many oriental markets sell the sticky rice steamer and basket, rice and sticky rice serving baskets. I thought rice was gluten free? 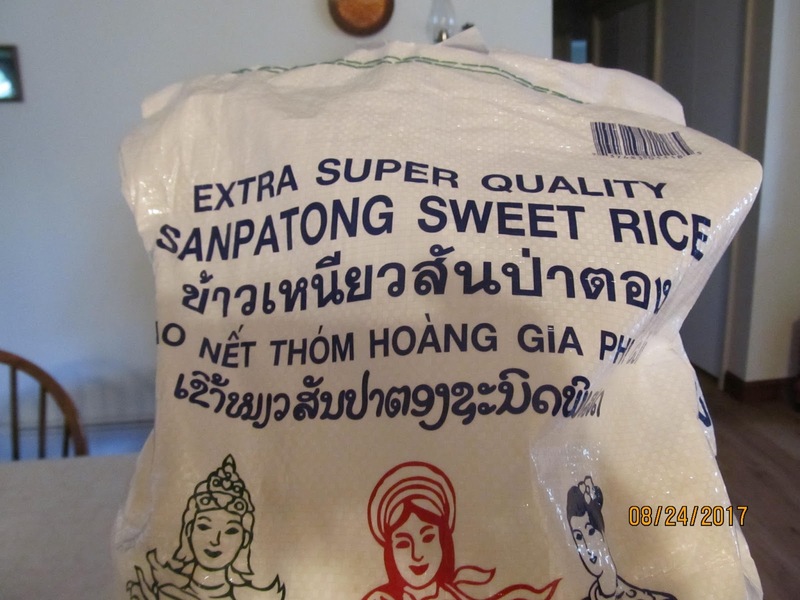 Does this rice contain gluten “Glutinous Rice”? It is gluten free, they call it that because of the way it sticks together.